In Uruk Mesopotamia & Its Neighbors, ten field and theoretical archaeologists working in the area today offer an overview and analysis of new data and interpretations for Greater Mesopotamia during the late fifth and fourth millennia B.C. They radically reassess the chronological framework for the region, assemble the basic data sets on both local and regional levels, and interpret and synthesize these data in order to put local patterns and dynamics into their widest regional context. 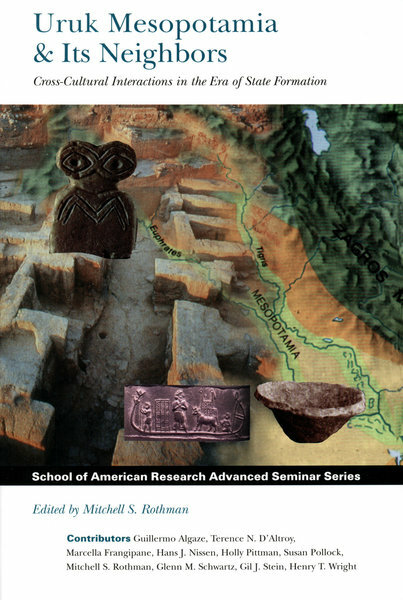 Their contributions have applications beyond the cultural history of Mesopotamia itself, reaching into the wider fields of anthropology, history, and political science. With its thorough documentation and comprehensive scope, this volume is an indispensable reference on the state of Mesopotamian archaeology at the beginning of the twenty-first century. Cultural and Political Networks in the Ancient Near East during the Fourth and Third Millenia B.C. The Tigris Piedmont, Eastern Jazira, and Highland Western Iran in the Fourth Millenium B.C.